Saudi-Egypt Economic Relations, the Isisian Codes – ITEL Radio 4.16.16 | Inside the Eye - Live! Inside the Eye – Live! for Saturday, April 16, delved into the evolving Saudi-Egypt economic ties. 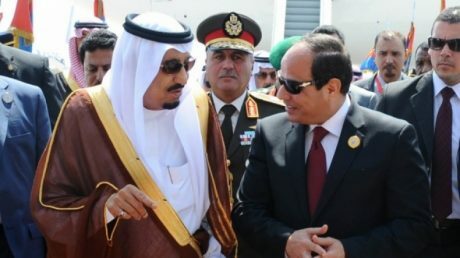 Of special note is the announcement of a mega infrastructure project, the building of a bridge that would link Saudi Arabia with Egypt’s Sinai Peninsula. The bridge would cross over the islands of Tiran and Sanafir, which sits at the opening to Gulf of Aqaba. Listener participation in hour 2, and a 3rd hour focused on “The Isisian Codes” made for quite an entertaining and informative show.